I thought it would be fun to journal a little about some important things I learned while on this trip to Italy. During my week at the Enoch Seminar in Gazzada (just outside Milan) we journeyed to the newly opened Egyptian Museum in Turin. It is said to be one of the top museums of Egyptian artifacts in the world. It did not disappoint. While touring the museum, I came to the full realization that the ancient Egyptian economy was based on death. The Egyptians didn't just bury their dead, they gave them everything they needed to live in the afterlife. So their tombs were filled with everyday objects that were costly. Even piles of manure to fuel their stoves. Even miniature servants in the forms of statues. Exquisite jars to carry their organs. Painted boxes to contain their toiletries. Game boards to keep them occupied. 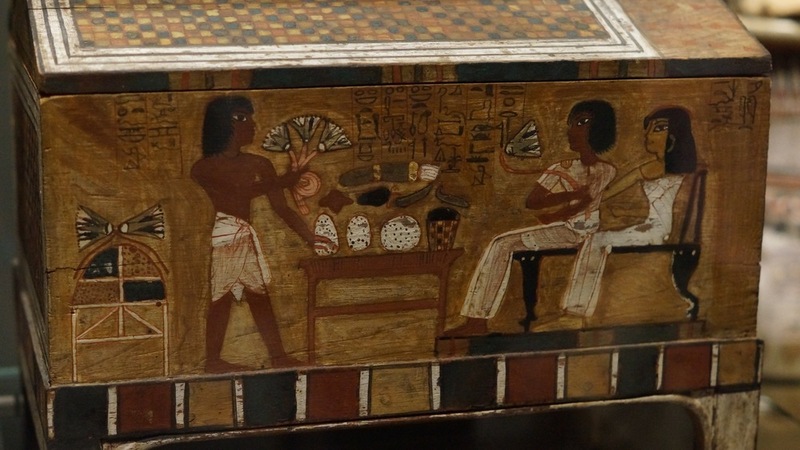 These tomb goods were not just for the Pharaoh, but for anyone who could afford them. Books of the dead were penned on papyrus and placed in the tomb, or scripted on the fronts, backs and insides of their coffins, leading the deceased along the proper path to the underworld. These books weren't just copies of some standard book, but put together for each individual Egyptian who selected the prayers, spells, and enchantments that were written down and illustrated especially for their tomb. The cost to have a priest do this must have been great indeed. When we think about accumulating goods today, it is nothing when compared to accumulating what would have been necessary to put in the tomb of a deceased Egyptian. It would have been a second set of goods, one better than what you had during your life. An extravagant hope chest of sorts. All of these goods were placed alongside the coffin complete with painted eyes to look out upon the goods, with satisfaction that they were living even better in the afterlife than they had before they died.